Our education birds are important to us. Those of you that have seen our programs understand our philosophy when we call the birds our "partners in education". 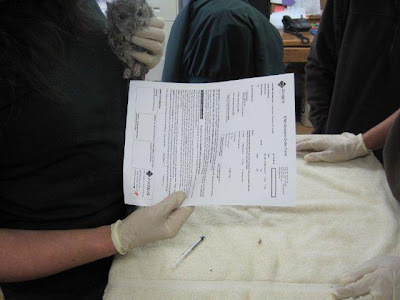 Most of them have a disability and are unable to be released to the wild. They count on us to provide them with everything they need for a good, low-stress and enriched life. Sometimes that included things like doing pedicures on their talons and trimming beaks. 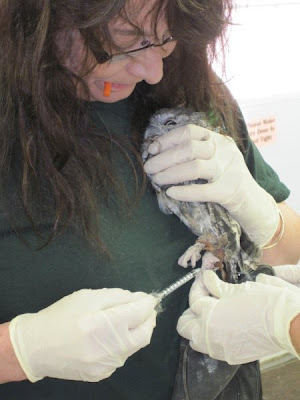 Because the gender of raptors is not always obvious, we can do DNA blood testing, so we can get their gender right. Many birds have visible gender differences. The male Northern Cardinal is bright red while his mate is dull in color. Many birds of the passerine family have flashy colored males and more camouflage-colored females. In raptors, gender color differences exists only rarely. The Northern Harrier is one raptor in which genders have different plumage color, as well as the more typical reverse size dimorphism that is found in most raptor species. Simply put, female raptors are generally about one-third larger than the males. As you can imagine, variation exists such as a small female or large male,and they can overlap in weights, etc. 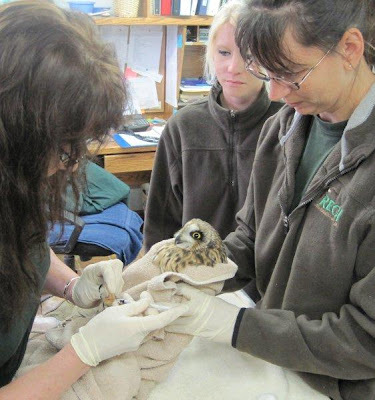 When we are not busy with patients, we still have lots to do with keeping our education "team" of raptors in top shape. We have some results of the DNA tests. Guess what? 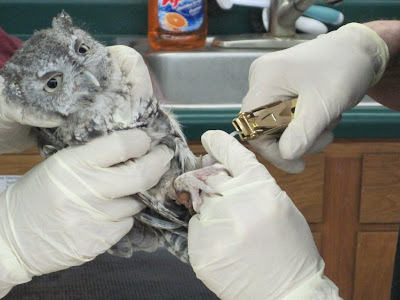 Bart, the handsome Gray Eastern Screech Owl, is a lady owl. Who knew? So do we continue to call "her" Bart or come up with a new name? 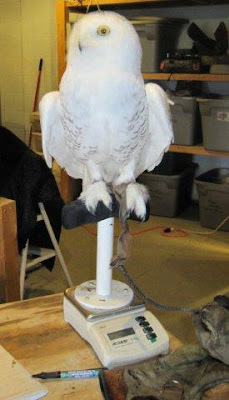 Yeti, the Snowy Owl, is a male. 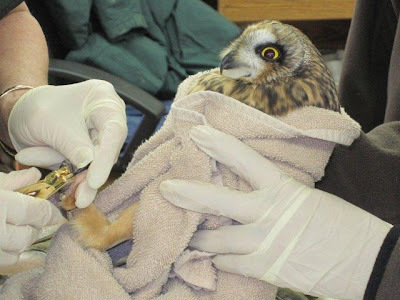 The lovely new little Short-eared Owl as yet unnamed is a female. Well....let's see, personally I think Bart should remain Bart...but, if need be, how about Bartine...or, Bartinee(which of course would be pronounced as a French name). 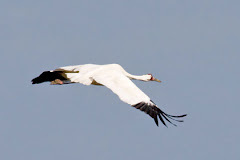 The gender of so many birds is "hidden" only accessable with invasive surgery to detect the single ovary of the female. 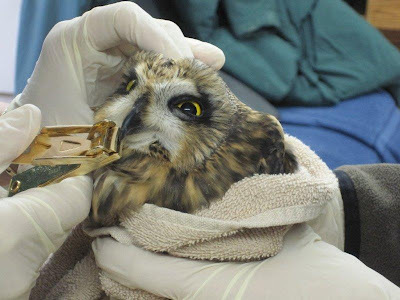 In cases of immature birds or very old birds no longer producing eggs, and sometimes off season, it is hard to determine gender even with Laparoscopy surgery.